Find the newest Scarboro homes for sale in Calgary! Scarboro is an exclusive residential neighborhood, though it is located in an inner city area of the city centre zone of Calgary, Alberta, Canada. The community is spliy by the Crowchild Trail freeway into a two residential clusters. One is the Scarboro proper at Scarboro Hill and the other is Upper Scarboro which is officially known as Scarboro/Sunalta West. For information about Scarboro homes for sale call your Calgary real estate team. Scarboro housing market statistics: As of April 25, 2019 there are currently 5 properties for sale in Scarboro listed as active, with an average asking price of $787,102. The highest-priced property is $1,400,000; the lowest priced property can be purchased for $304,238. Scarboro neighbourhood listings have an average price of $546 per square foot, based on listings with 2.4 bedrooms, 2.6 baths, and 1,404 square feet of living space. 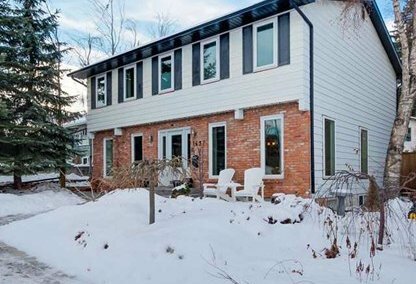 Looking to sell or buy a home in Scarboro Calgary? Call Justin Havre at RE/MAX First - 403.217.0003, your neighbourhood Calgary real estate team. We are Scarboro real estate agents and experts on the Scarboro housing market in Calgary. The Canadian Pacific Railway used to own the Scarboro community’s area. Approval on the neighborhood's subdivision plans were released in 1910 and 1911, following the annexation of Scarboro to the city of Calgary in 1907. The plan's covenant restricting land uses to those that conflict with the subdivision’s residential nature still remain in effect today. Scarboro has about 941 residents according to a 2006 census. In Upper Scarboro/Sunalta West, the head count was 387 residents. This neighborhood is definitely a well-established community. Notably, the community adopted street names dominated by those starting with the letter “S” (e.g. Superior, Shelbourne, Sudbury, Scotland), a pattern which deviated from the common practice in Calgary to have street names in numbers. Scarboro has approximately 365 residences, all of which are single-family homes. Asking prices of Scarboro homes for sale typically range from the high $400s up to over $1 million. Via the Crowchild Trail and other nearby arterial roads, Scarboro neighbourhood residents can partake of the life and leisure amenities not only in downtown Calgary but also those in its suburban districts. There are plenty of community activities within Scarboro itself, however. There is a community hall run by the neighbourhood association which hosts parties and socials. Among other things, the Scarboro Community Association also organizes an annual youth soccer program and regular adult fitness sessions. Sunalta Elementary and Sacred Heart Elementary are the two schools which serve the Scarboro community. 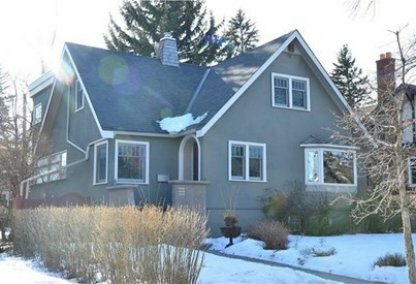 Planning to buy or sell a home in Scarboro Calgary? Let our real estate team guide you in your search for the perfect home and professionally facilitate the sale of your existing home. As Scarboro neighbourhood real estate agents, we know how to navigate the Scarboro real estate market. Let's get your home sold quickly and at the highest price! Contact Justin Havre at RE/MAX First - 403.217.0003 to find out more about buyer or seller representation. Thinking of selling your Scarboro home? Check out our free property evaluation tool, where you can easily view Calgary Homes Values online in moments!